It happens. Your forklift breaks down or you've only got a seasonal need or you are caught in an unexpected situation. What to do? 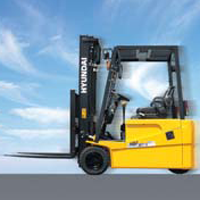 Check out Hyundai Forklift of Southern California's forklift rental options. Whether for a week, month or longer, they've got your forklift rental covered. The company also specializes in an LPG forklift rental and an electric forklift rental for trucks, offering quick delivery via their own flatbed truck. What keeps your forklift rolling and business coming in? Using a company like Hyundai Forklift of Southern California, with our highly skilled repair technicians, top customer service and competent forklift parts process. Sourcing forklift parts, such as Nissan, Yale or Komatsu isn't learned overnight. It takes experience and the 50 years of strong working relationships, developed between industry forklift parts suppliers and Hyundai Forklift of Southern California. The result? 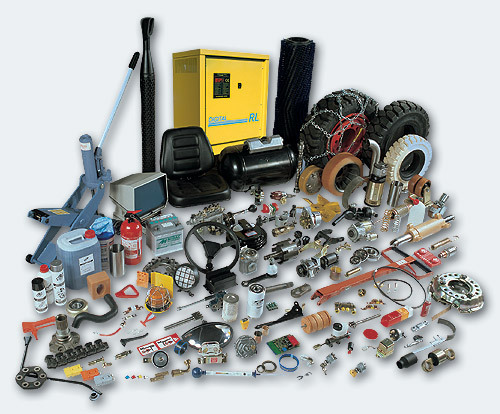 You get forklift parts quickly and at reasonable prices. You've got to move it from here to there . . . and with only one individual. No problem. Check out Hyundai Forklift of Southern California's material handling equipment. Our ten-year track record of offering superior quality pallet trucks proves an excellent choice for material handling equipment. The company's manual pallet jacks are cost effective. With a variety of sizes and capacities - you can even contact us with your special needs - finding the right material handling equipment should be a snap. Take our Model 4500, which touts a 5,500-pound capacity, low profile, 2 5/8-inch lowered height and, 3-position handle. Then again, our Model 1000 (4,500-pound capacity, 2.9-inch lowered height and 3-position handle) or Model 2000 (5,500-pound capacity, 2.9-inch lowered height and 3-position handle) is the ticket for you.